Hi everybody! Just a heads up to remind everyone that here at Mozak headquarters (the University of Washington), we are officially on holiday this upcoming Thursday and Friday, November 24 and 25. 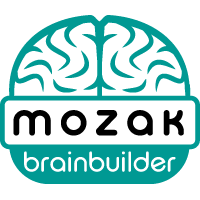 During this time we will be monitoring Mozak and responding to emergency issues, but otherwise you can expect likely delays to responses for posted issues until Monday morning (Pacific time). Rest assured when we are back from the weekend, the entire team will be ready to tackle all the great bugs and suggestions you have been posting for us in our community forums. For those of you also celebrating this weekend, we wish you safe travels where appropriate - and of course, a fantastic weekend to all.